A performance longboard that will suit waves of any kind. Through the middle is a straight template and flatter rocker. 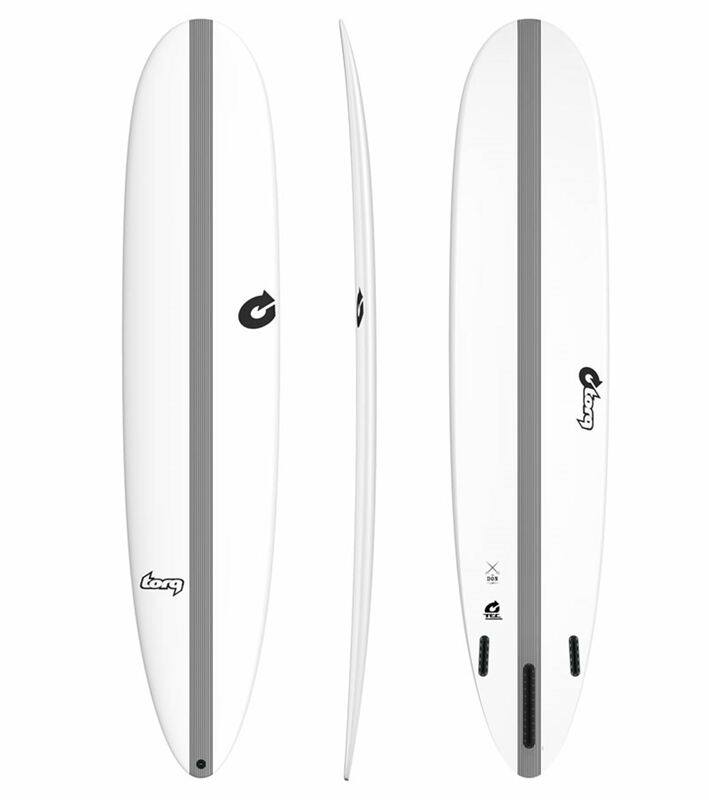 Effortless paddling and glide for early wave catching and trim. Up at the front is a wide longboard nose with a single concave underneath, a soft rail and medium entry rocker. It's a combination made for solid, stable nose rides in addition to easy carving. 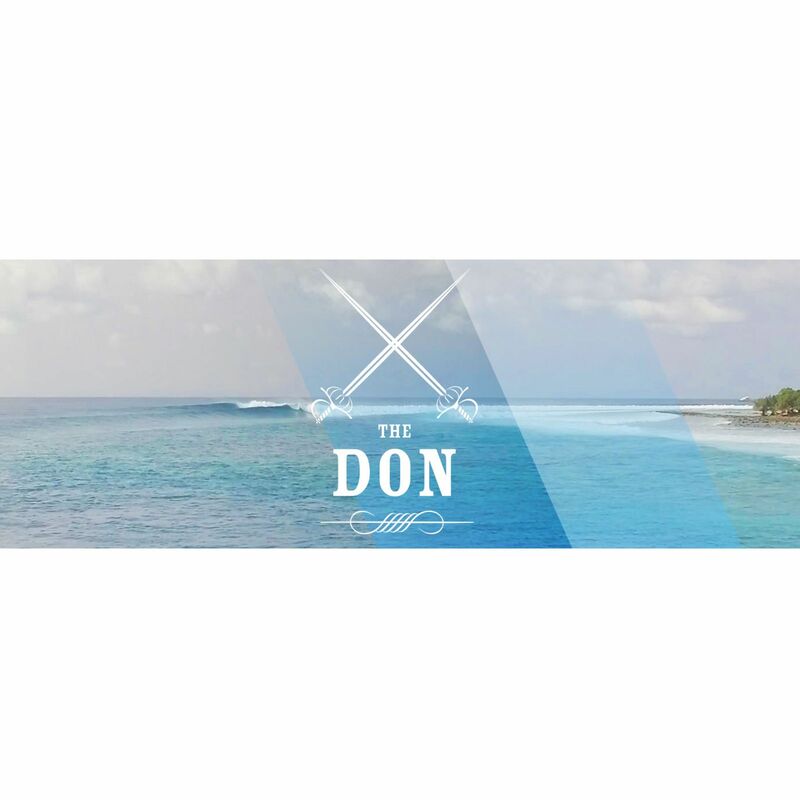 In the back 3rd, the template narrows into a pulled in round tail with a double concave vee in the bottom and a medium tail flip. 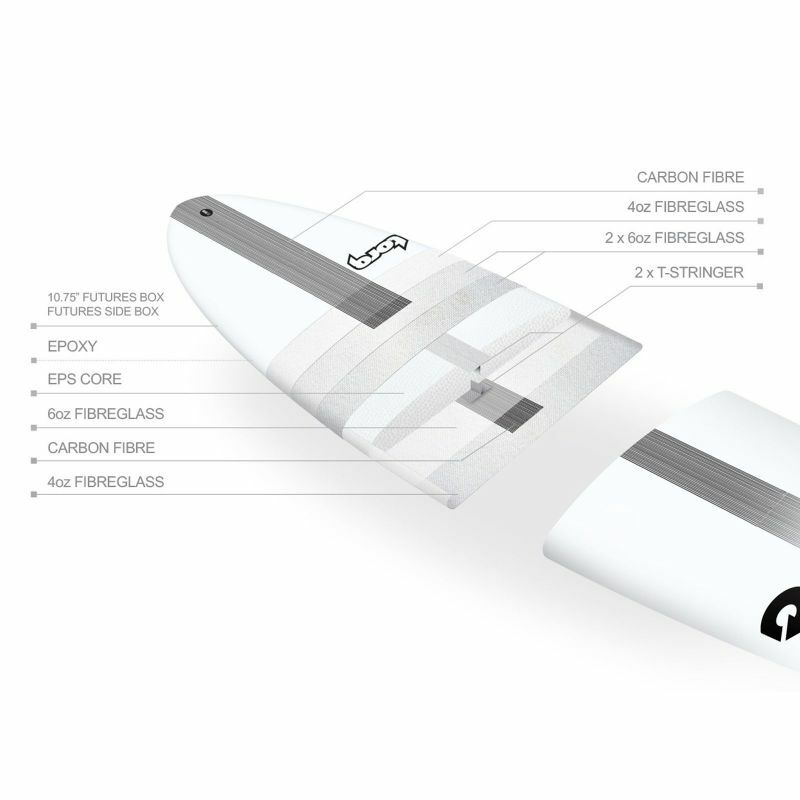 Designed for maneuverability, this tail allows the board to come hard off the bottom into the lip or carve a long arc back into the pocket. An allround performance longboard in cutting edge technology. 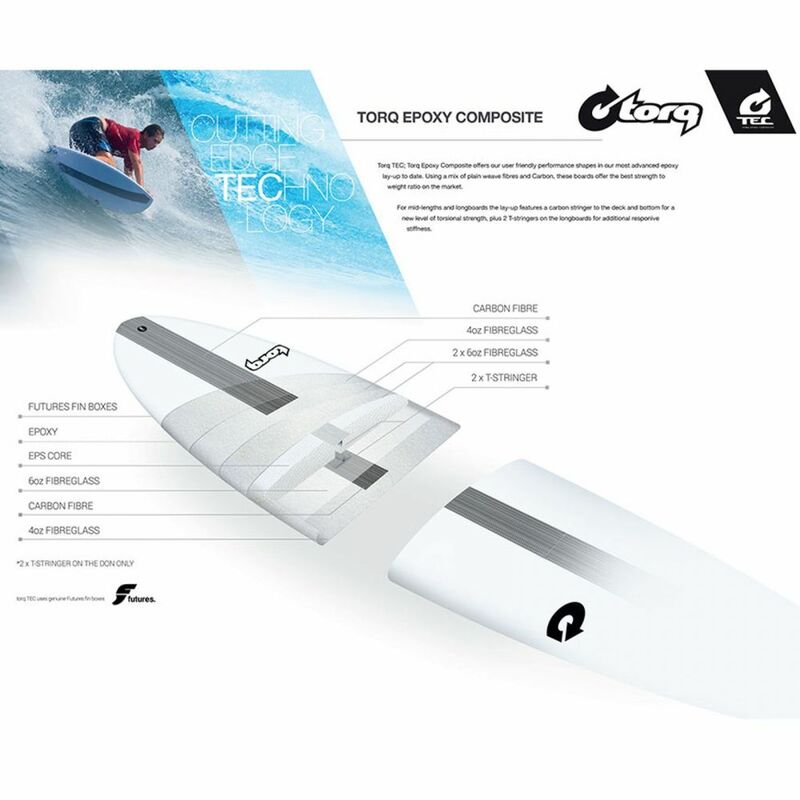 Torq TEC; Torq Epoxy Composite offers our user friendly performance shapes in our most advanced epoxy lay-up to date. Using a mix of plain weave fibres and Carbon, these boards offer the best strength to weight ratio on the market. For lengths of 8'6 and over we have introduced a T-stringer and carbon stringer to the deck and bottom for a new level of torsional strength. The torq longboard technology is incredibly strong, light and responsive.